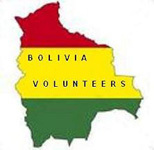 BOLIVIA VOLUNTEERS, with over fifteen years’ experience, is the leading independent provider of low cost volunteer placements in Bolivia. Our volunteers give direct, meaningful and lasting help where it is needed most, and we see no need to charge excessive fees to provide all the services and facilities necessary to ensure a volunteer’s time with us is comfortable, enjoyable, productive and rewarding. In addition to arranging placements for our own volunteers, we also host visitors placed by other Placement organizations and agencies. Our placement costs have been carefully calculated to reflect the true cost of volunteer placements in Bolivia. There are a wide range of volunteer activities available including; Social care projects, teaching, sports coaching, Santa Cruz Zoo, Animal welfare, cultural & arts projects, Journalism, tourism, fashion design and volunteer internships in; Teaching, Social care, Journalism, Graphic design, Architecture, Advertising, sales and marketing, Travel and tourism, Social enterprise and Microfinance. A non-refundable deposit of US$ is required to confirm your homestay accommodation, and final balances are settled on arrival. Fee includes food, accommodation and 27/7 support from bi-lingual placement Co-ordinator. Placements are totally flexible in terms of start date and duration, to match your availability. There are no requirements other than being aged 18 and over.